Q&A with R&A - What is a Target Date Fund? 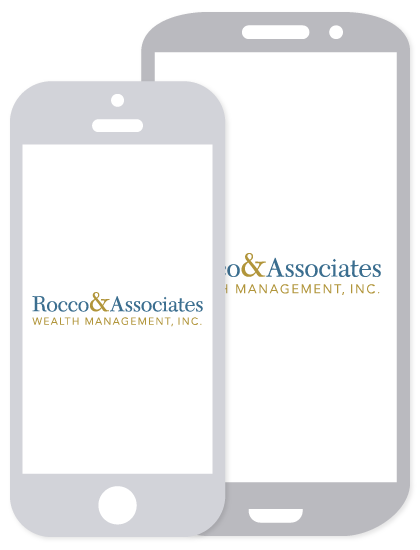 | Rocco & Associates Wealth Management, Inc.
A Target Date Fund, also known as a Lifestyle Fund, is a mutual fund that targets an approximate year when investors plan to start withdrawing their money, such as the year in which they plan to retire. The fund then reallocates its mix of stocks and bonds as the investor gets closer towards retirement and the “target date.” The older you get, the fund will invest less in stocks and more in bonds. This automatic reallocation can be a useful strategy for "do-it-yourself" investors to keep their allocation in line with their retirement. These types of funds are most common in your company’s 401(k) plan. In fact, many of our clients who ask us to take a look at their 401(k)s, or other work sponsored retirement plans, are invested in a target date fund when we start the process. Target Date Funds were first created in March 1994 to address the problem 401(k) plan sponsors and service providers were having at the time; investment responsibility was shifting to the hands of employees, but many were not trained in making educated investment decisions. These first funds were created by Wells Fargo and Barclays Global Investors to help participants who preferred expert investors to allocate their assets properly over the years as they proceeded towards retirement. The number of funds and amount of assets held in them have grown rapidly from that point on. While Target Date funds help investors who do not have an asset allocation plan, they are not right for every investor or every market condition. Are you the same as every other person your age at work? If your answer is “no,” then it doesn’t make sense that you should be invested like them. It is important to remember that your risk tolerance goes beyond your age and extends to your personal preferences and goals. At Rocco & Associates we offer our clients an in-depth analysis of their 401(k) plan including all of the available investment options so you can be confident that your asset allocation is in line with your risk tolerance, time horizon, and unique financial objectives. Our analysis process is simple, if you provide us with your list of investment choices and a current 401(k) statement we can then provide you an allocation to compliment any investments you have with us and an analysis of the funds that could potentially fit into the allocation using research from Morningstar, Inc.. As always, if you have any questions about your 401(k), or the services we provide, don’t hesitate to reach out! The principal value of the fund(s) is not guaranteed at any time, including at the target date. Investing in target date retirement funds are subject to risk of their underlying funds. The investment risks of each fund will change over time as its asset allocation changes. They are subject to the volatility of the financial markets, including equity and fixed income investments. No strategy or asset allocation ensures a profit or protect against a loss.